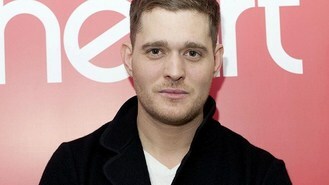 Michael Buble and Deadmau5 have been honoured for their songwriting talents in their home country. Jazz crooner Michael picked up two gongs - the international song award and another in the pop/rock category - for his track Hollywood at the Society of Composers, Authors and Music Publishers of Canada (SOCAN) awards in Toronto. Meanwhile, electro-house act Deadmau5 - aka Joel Zimmerman - was given the international achievement gong in recognition of his worldwide success. Folk rock guitarist and singer-songwriter Bruce Cockburn received the lifetime achievement award. SOCAN's Eric Baptiste said: "Original music brings joy to Canadians. It's essential to our national pride and culture. Our songwriters and composers continue to create music that is being played both at home and around the world, while our publishers work diligently to expand the markets for Canadian music. We're proud to congratulate all of the SOCAN Award recipients for their accomplishments." Nicki Minaj ended up snubbing her own album-release party - after a posse of her boyfriend's friends weren't allowed in, according to reports. Simon Cowell reportedly faces a bidding battle to sign X Factor star Ella Henderson. Robbie Williams has admitted he constantly needs reassurance that his new music is up to scratch. Fans were given a thrill as they waited to see the stars arrive to record Rod Stewart's Christmas Show. Broadcaster Danny Baker, who quit his radio show live on air earlier this month, has landed a new BBC TV show celebrating great albums. Carly Rae Jepsen has spoken of her disappointment after illness forced her to pull out of a Justin Bieber gig just hours before her birthday. Adele's music has Brits rolling in the sleep - after her tunes were found to be top of the kips. Tinchy Stryder has let it be known that he'd love to be a judge on the next series of The X Factor. The original Atomic Kitten line-up have gone back into the studio for the first time in 11 years, according to reports.